That palpable sense of anxiety as a major health concern has been building for many years. Now, for the first time, stress has replaced being overweight as the top health condition America’s households are actively treating or preventing according to The Hartman Group’s Health + Wellness 2019 report. The surge in the management of anxiety or stress is mostly driven by consumers preventing health conditions, especially among Millennials and now Gen Z. Yet most Americans continue to believe, in spite of their self-reported high BMIs, they are healthier than the general population. The Health + Wellness 2019 report finds that 80 percent of consumers believe they are of above-average health (up three points from 2017). Self-assessed comparative healthfulness peaks for younger consumers and Core wellness consumers, who do tend to have fewer health issues and weight struggles. 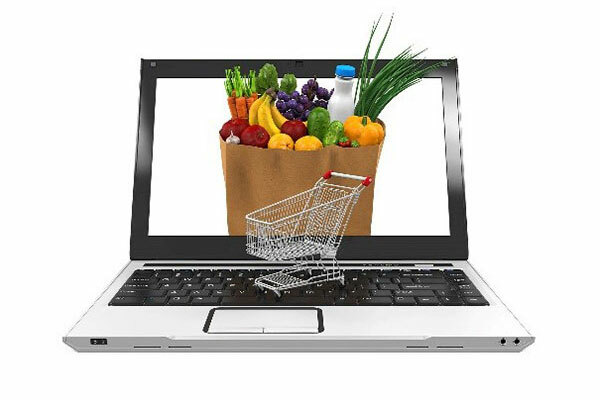 The majority of older and less engaged consumers, however, also believe themselves to be healthier than average. Weight is still seen as a key indicator of overall health, but mental/emotional health is becoming a more prominent aspect of how consumers understand health and wellness. “Cultural assumptions about what health and wellness encompasses continue to evolve, especially as consumers gain greater awareness of the dynamic connections between body and mind within a national mood that feels generally anxious and uncertain,” said Laurie Demeritt, CEO of The Hartman Group. 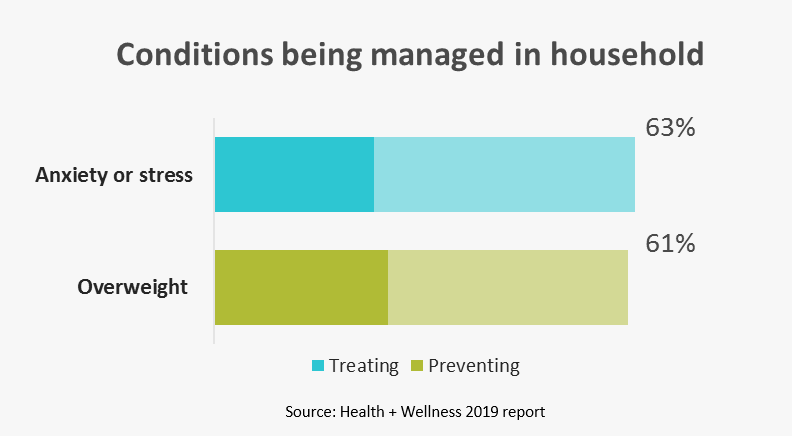 In our previous health and wellness research studies, we explored how consumers now take a more proactive approach to wellness, as opposed to the previous reactive approach of addressing health and wellness only when it becomes a problem. Our Health + Wellness 2019 report finds that layered onto this more proactive approach to wellness, however, is a heightened sentiment in many of feeling anxious and overwhelmed — by information and messages, by lifestyle ruts that can feel inescapable, by daily work-life balance, by polarizing politics, and by big issues like climate change. Higher levels of stress and anxiety among Gen Z — even above Millennials — suggest that this is a unique generational issue, rather than one related to life stage. 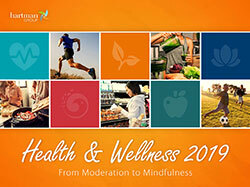 Health + Wellness 2019: From Moderation to Mindfulness explores what’s new, what’s mainstream, and what’s around the bend in the world of health and wellness. Many measures are trended over time and show significant change over the past 3-5 years, including foods and ingredients consumers are seeking or avoiding, supplement usage, conditions managed, and even what health and wellness itself means. Combining our signature focus on trend-setting wellness consumers with an oversample of Gen Z (18-21 years of age), Health + Wellness 2019 also offers a glimpse of what the health and wellness concerns and trends of the future may look like. Additionally, this year’s report includes a special focus on cannabis for health and wellness, exploring consumers’ attitudes, usage occasions, and reasons for using cannabis from a health and wellness perspective. Ready to have a conversation about your work and our solutions?